The first year of college is undoubtedly one of the most nerve-wracking experiences for any student. 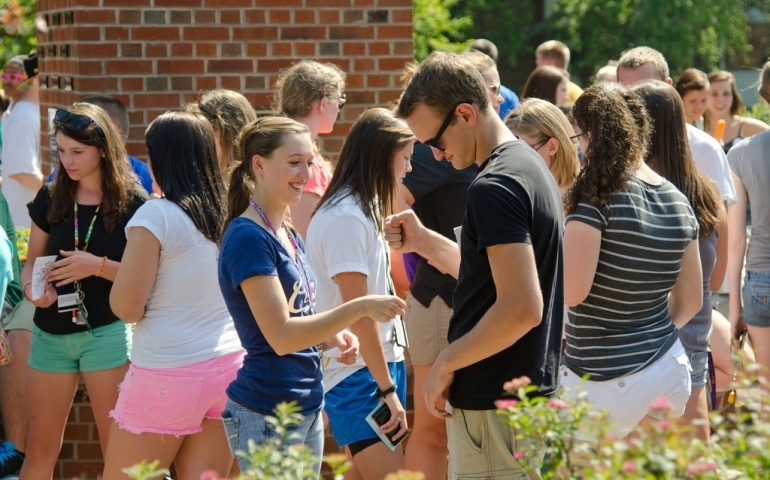 This experience is no different for the freshmen at Southern Nazarene University. With the influx of students that arrive at SNU, these individuals are making a huge step into adulthood; their first experience can either make or break them. After many interviews with the 2014 freshmen, I was able to take their answers and give some advice to the upcoming freshmen of Southern Nazarene University. What one does in their first year of college can set the tone to how the rest of his/her four years of college will be like. In order to maintain a healthy first year, one must have balance and concentration. Many students fall short when they try to take on more than they can handle. To put a spin on Voltaire’s quote, I would say that “With freedom comes with great responsibility.” It is how we use freedom that we will get the most success. Time and money management is not only a huge problem for incoming freshmen but to each upperclassman. Once one learns how to manage one’s time and money, he/she has already completed one of the hardest parts of succeeding in college. Along with managing time and money, making friends can be one of the most enjoyable or regretful decisions one can make. Another benefit from being at SNU is that each individual student is exposed to Jesus Christ in some form or fashion. With each experience, these students have a chance to go deeper than the books that they read. With chapel twice a week and the endless amount of religion classes, each freshman has the opportunity to experience Jesus Christ in a whole new way. With a healthy balance of school, friends, books and Jesus, the 2015 freshman class at SNU can make the most of their college experience. Prev PostWill Your Shiny New Degree Get You a Job?